Your Daily Cute: Two Cats Tuesday: VIP Red Carpet Cat Giveaway! 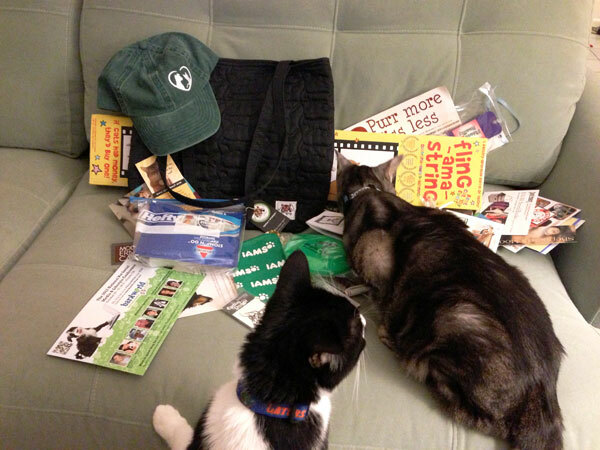 Two Cats Tuesday: VIP Red Carpet Cat Giveaway! Happy Two Cats Tuesday, Cuteheads! Today is super fun! 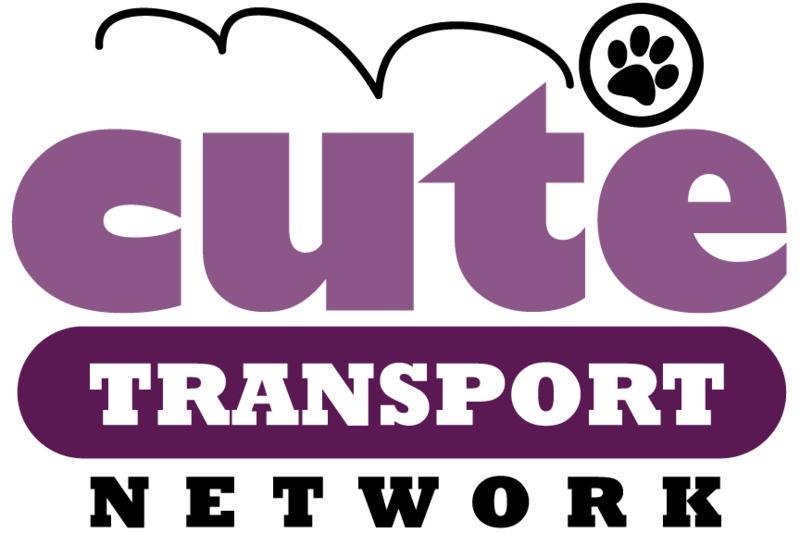 We're one of the official blogs that are part of the Red Carpet Cat after party! And you could bring some swag home yourself! 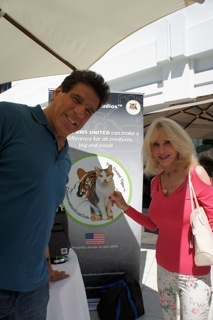 A couple weeks ago, our pal Gracey, The Tiniest Tiger, hosted an exclusive VIP Red Carpet Cat party in honor of the Emmys awards in Hollywood. Animal-loving celebs attended and she even had a Twitter party to go along with it! Each of the celebrities got to take home one of a super-stylish Tiniest Tiger Tote, stuffed full of kitty goodies and toys. As part of the VIP Blog Tour to go with the event, we got one to try out... and Pimp and Moo couldn't wait to dive in! OMC! Look at all this stuff! Which do we sniff first? Look! There are cats quilted in! The Tiniest Tiger is all about promoting wildlife conservation, which we love. Any animals are friends of Cute, and we want them all to be safe and live the best lives they can. Every single one! So we're thrilled that the celebs got in this and showed their support. Here are a few that were at the party and got swag bags! Mayim Bialik, Lou Ferigno, Hal Sparks -- and there were lots more! P.S. There are even MORE chances to win! 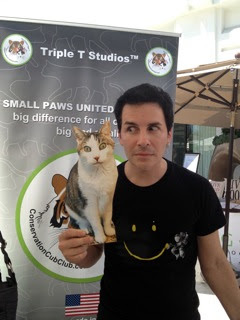 Go to The Tiniest Tiger's blog here and you can see a list of all the blogs participating in the Red Carpet Cat VIP Tour. Each one is giving away one of these - so there are tons of chances to win! Love this! Thanks for the chance to win! Cool. My two furgirls would have a blast! It's an awesome bag, would love to win it! Dusty & Pepper Cat would love to have all this swag!!! I know the Farm cats would love all of the stuff inside and the publicist really needs a new bag. Somegoat took a munch out of her current bag. I am not naming names. Neat bag!! Would love to win it. We would love to win this! The bag matches Laila's furs! I would love to have this as a raffle item for the rescue group I volunteer for. I would so love to win this bag. It's gorgeous! Awesome! 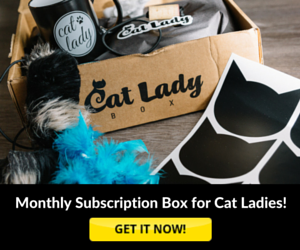 Me and my three kitties would love one :)! This would be perfect for me and for the tiny tigers! Love it! Wow, I would love that tote filled with swag. My kitties would love this. I would LOVE another TTT bag. 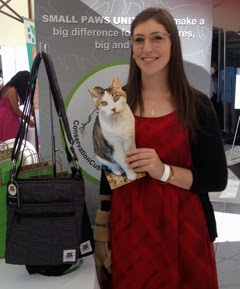 I love the one I have and I have the perfect cat rescuer friend to whom I would give this bag if I won it! :) One entry please and thanks! I love this bag! And what's inside is even better. Thank you for the giveaway. I've been hoping to win one of these foreva..
My Eesa would LOVE the swag in this bag! Love these totes. Thanks for the giveaway. That certainly is a great tote of goodies! Cool bag! Thanks for the chance to win it! My kitties would be so so happy to win. I mean I would love to win this for them since they are the best!!! Such an awesome giveaway! Thank-you!